Who doesn't love getting proper mail, as opposed to bills, leaflets and junk, in the post? And if that mail is books, even better. 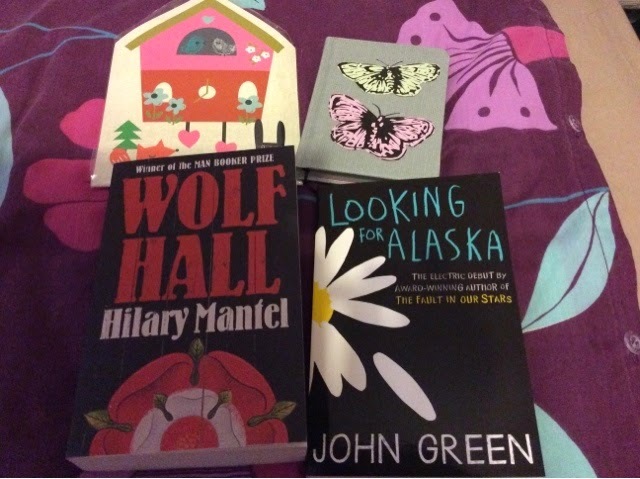 So I signed up to the lovely Ninja Book Swap, a scheme which pairs you up with another book obsessed person, and you send them a parcel, and get one in return from another book obsessed person. 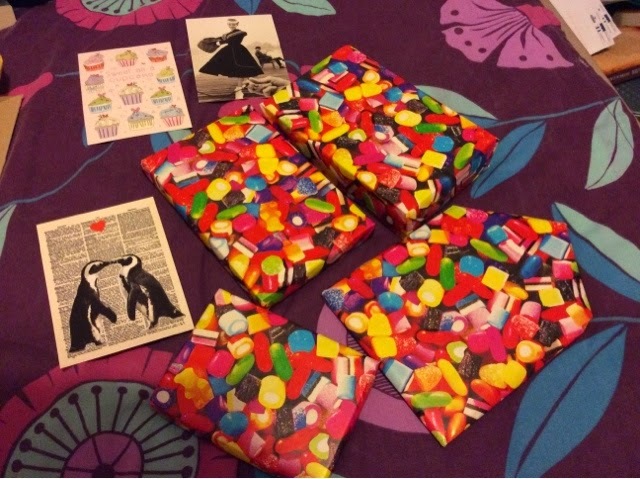 It's Secret Santa, but with books and book bloggers. I've been wanting to read Wolf Hall by Hilary Mantel and Looking for Alaska by John Green for absolutely ages, so these are perfect. Both will be going on the pile of books I'm saving to read over the Christmas break. And my lovely notebook, letter writing set and the postcards are just beautiful.